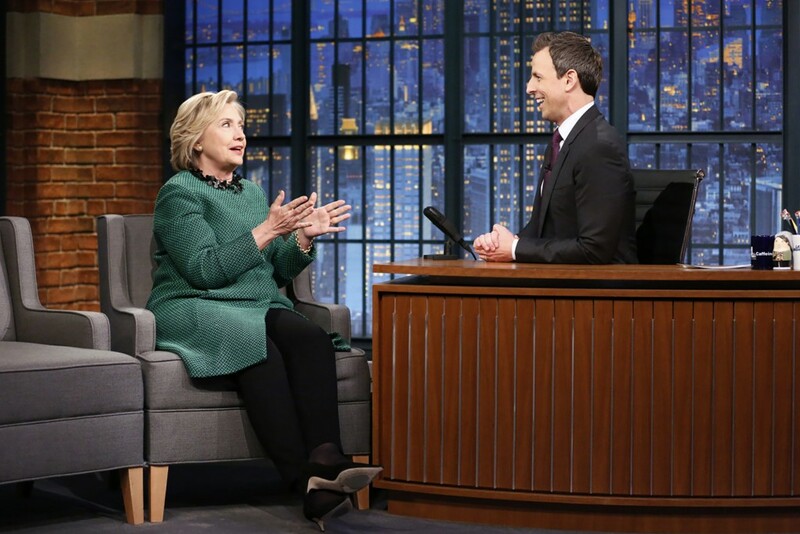 Appearing on NBC’s “Late Night with Seth Meyers” Thursday evening, Hillary Clinton said that Donald Trump has crossed a line to the point where he is no longer a laughing matter. 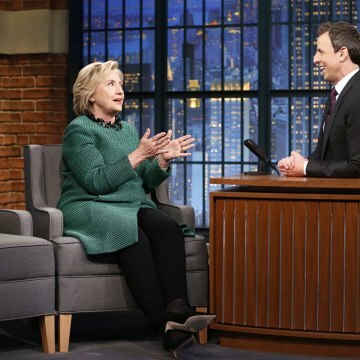 "You know, I have to say, Seth, I no longer think he is funny," she said, referring to the GOP presidential front-runner’s recent plan to bar all Muslims from entering the country. "I think for weeks you and everybody else were just bringing folks to hysterical laughter, but now he has gone way over the line," she added. "And what he is saying now is not only shameful and wrong, it is dangerous." 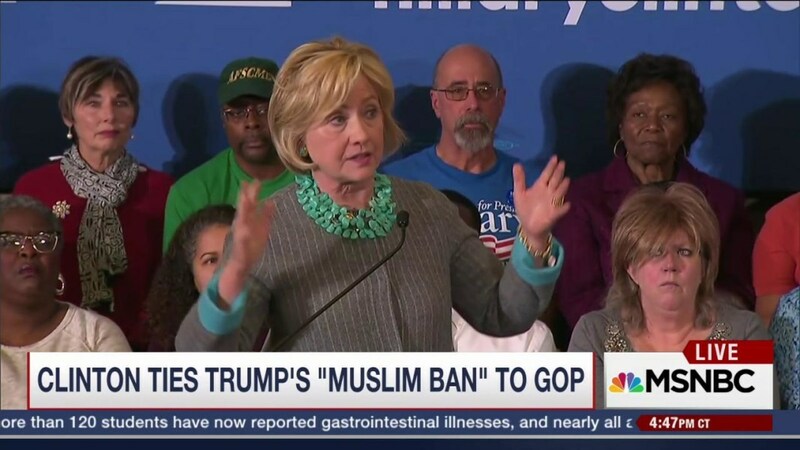 Clinton, the front-runner for the Democrats, has been extremely aggressive in attacking Trump’s anti-Muslim rhetoric, using campaign speeches, emails, social media campaigns and more to discredit the real estate mogul. At the same time, Clinton and her campaign have been trying to make other Republican presidential candidates pay for his sins by tying them together.